Using technical analysis charts is a very popular method for informing forex trades. While there are an almost endless number of ways in which you can do this, with several chart types and countless indicators, we have used candlestick charting in all of these examples for the sake of comparability. In general, Candlestick charts give you more information than other common types such as line, OHLC or area charts, and are therefore the most useful for recognizing price patterns across all time frames. 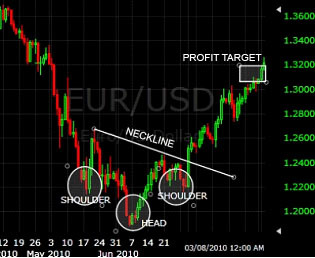 Here, we are going to show you how to recognize three of the most common patterns, namely Head & Shoulders, Engulfing Patterns, and Triangles. and give suggestions as to how to trade them. This type of pattern can either take the form of a topping formation after an uptrend, or a bottoming formation after a downtrend. Topping formations take the form of a price high, then a retracement, then a higher price high then a further retracement followed by a lower low. Bottoming formations can be characterized by a low(first shoulder), a retracement followed by a lower low (the head) and a retracement then a higher low (second shoulder). The pattern can be considered complete when the trendline (or ‘neckline’) that connects the two highs in the bottoming pattern, or the two lows in the bottoming pattern, is broken. This pattern is easy to trade because it gives you an entry level, a stop level and a profit target. Entry Order: This should be set at the point where the ‘neckline’ is broken. 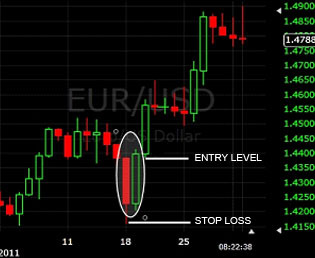 Stop Loss Level: If you are employing a conservative trading strategy, then the stop level should be placed below the right shoulder, but if you are willing to take on more risk and therefore increase the chances of hitting your profit target, you could set it somewhere below the head instead. Profit Target: Add the breakout point to the height of the formation. These patterns are very commonplace across shorter time frames, and can be ascending, descending, or symmetric (as seen in the chart below). While the various types of triangle may look different, there is not that much difference between them in practical trading terms. 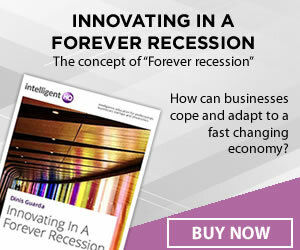 A triangle occurs when prices converge, with the highs and lows narrowing into an increasingly narrow price area. 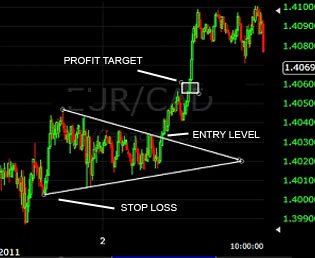 Entry Order: This should be set at the point where the perimeter of the triangle is penetrated. Stop Loss Level: Set this at the lowest point of the pattern. Profit Target: Add the height of the pattern to the entry price. These patterns are easy to spot on shorter time frames, and often give rise to a strong and immediate change in the price direction of a currency pair. In an uptrend, a down candle real body will completely engulf the previous candle real body, and this is called ‘bearish engulfing’. In a downtrend, an up candle real body will engulf the prior down candle real body, and this is known as ‘bullish engulfing’. Entry Order: Set this at the open of the first bar after the formation of the pattern. Stop Loss Level: Place this below the low of the pattern.